This just in! We've got an interesting forecast on the way: cynical weatherman Phil Connors doing kind deeds all over Punxsutawney! 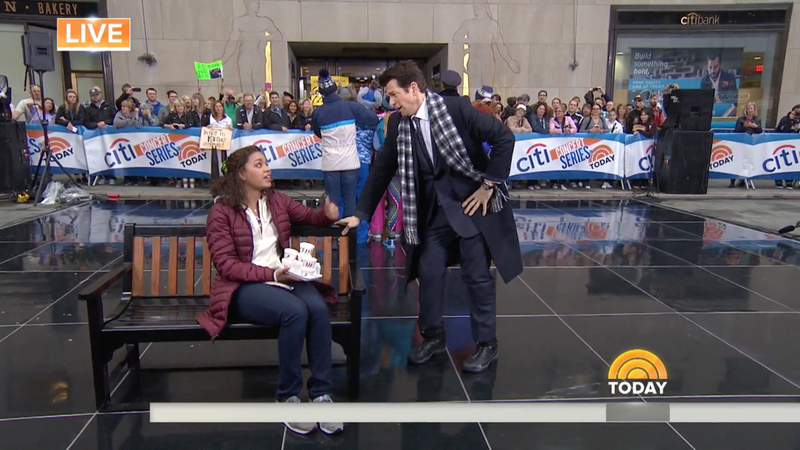 Andy Karl and the cast of Broadway's uproarious Groundhog Day stopped by The Today Show on April 27 to perform the superbly dancey number "Philanthropy," which is when Karl's arrogant character starts changing his ways. Take a peek at this video of Karl and the vivacious cast below! You'll want to see it done live over and over (and over again) at the August Wilson Theatre.